Objective: Perform grep on one single column and if there’s a match, print the whole line. Objective: Use netcat (often abbreviated to nc) to check if a remote TCP or UDP port is open. Objective: Use a shell script to read a year and check whether it is a leap year or not. Objective: Change ownership of all files belonging to a given user, within a targeted directory, to another specified user on Unix / Linux. Objective: Execute / Run a command and kill it if it’s still running after a specified duration on Unix / Linux. 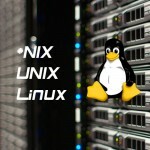 Objective: Rename multiple files in a directory on Unix or Linux. Objective: Get the exit status codes of all commands executed in a foreground pipeline (for example ‘command1 | command2 | command3’). Objective: The read shell command is used to read a line from standard input with an optional prompt. How to specify ANSI color sequences for the prompt? 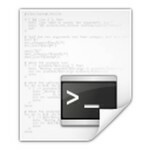 Objective: Disable command line history logging in bash shell. Objective: Time an event or something using the shell on Unix or Linux.